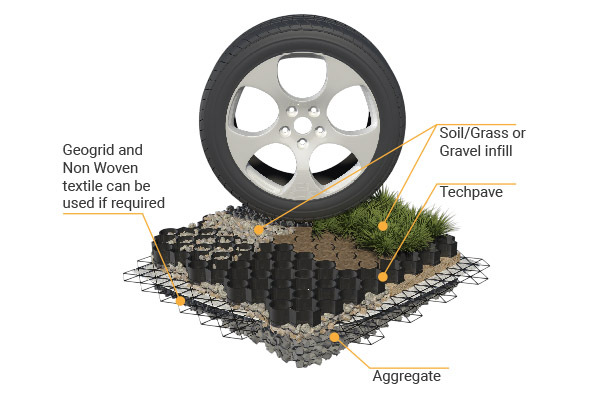 Techpave and Techpave HD are interlocking polymer paving systems designed to locally stabilise grass or gravel surfaces. Techpave is suitable for applications such as car parks, driveways, cycle paths, footpaths, access roads and recreational areas whilst Techpave HD should be used where traffic loads are higher and/or more frequent. 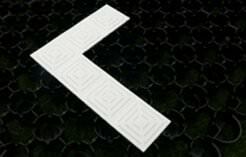 Both Techpave and Techpave HD are tough, flexible and easy to install making them the professional choice for a wide range of construction project. 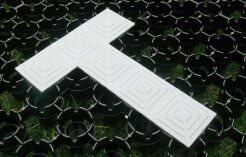 Manufactured from 100% recycled polymer and providing a permeable surface to reduce rainwater run-off these systems are the environmental and sustainable surfacing solution of choice. Both systems can either be filled with stone or soil (which can subsequently be seeded) to provide a finish that is not only sustainable but attractive and robust. Clearly the selection of the appropriate product and soil or aggregate fill for the correct application is very important. 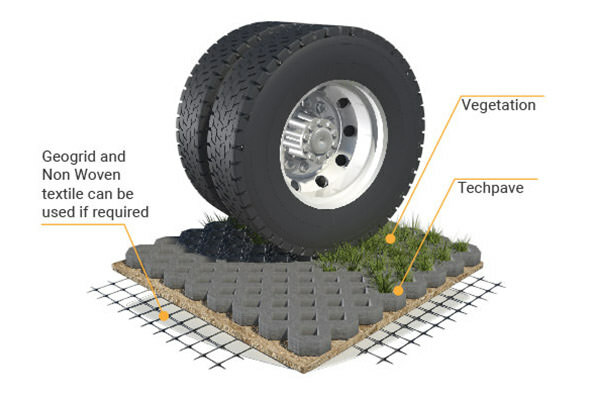 Bodpave® 85 grass pavers / paving grids are a strong interlocking 100% recycled cellular porous plastic paving grid system for grass reinforcement, ground stabilisation & gravel retention for regular trafficked surfaces (pedestrian and vehicles). Bodpave® 85 porous pavers can be installed with either a grass or gravel filled surface. 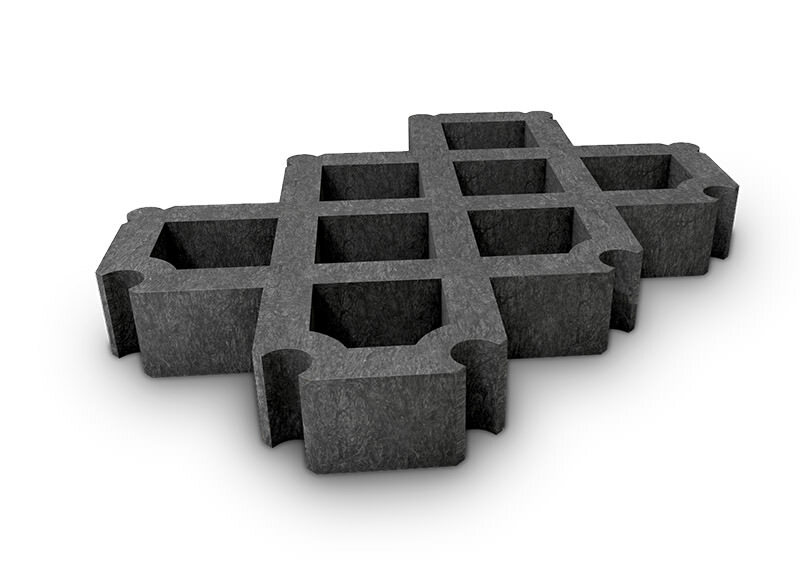 BodPave® 85 permeable pavers are manufactured in the UK from UV Stabilised 100% recycled HDPE and are strong, chemically inert & non-toxic. Bodpave® 85 porous paving provides a durable, safe and environmentally friendly surface for trafficked areas with a very low carbon footprint. 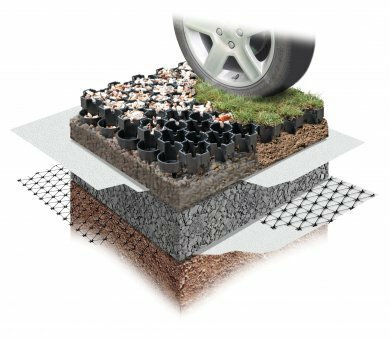 BodPave® 85 is a cost effective solution to worn & rutted grassed areas, displaced gravel and for source control of surface water run-off. 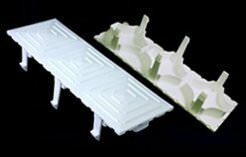 The open cell structure provides high surface water infiltration and is suitable for source control within a Sustainable Urban Drainage System (SUDS). 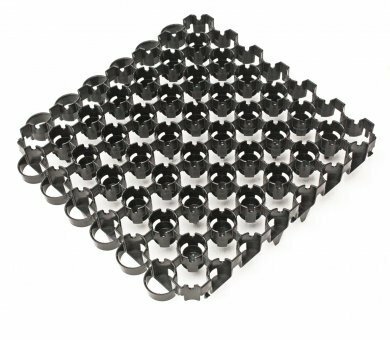 The unique design of the Bodpave® 85 units resist lateral movement, improves traction and allows expansion & contraction whilst promoting optimum grass growth, root protection and surface stabilisation. 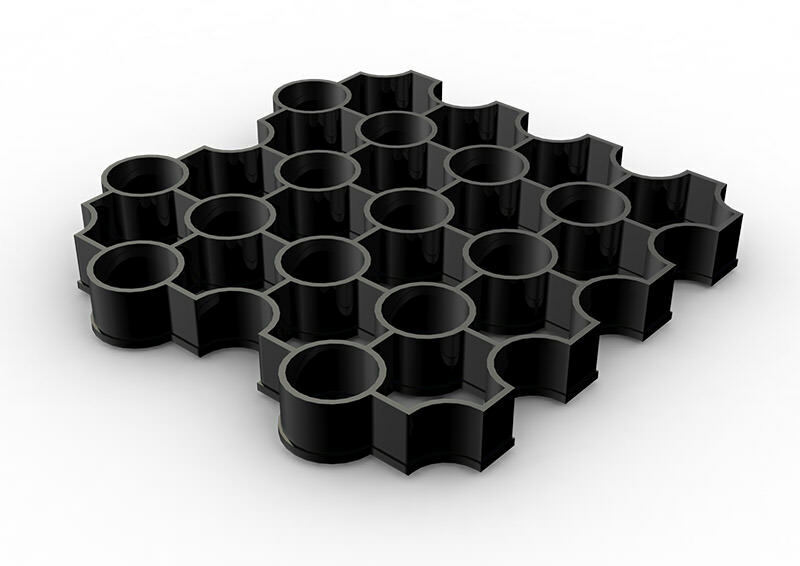 Bodpave® 85 permeable paving grids should be installed onto a well prepared, free draining, firm and relatively level existing or newly constructed sub-base. 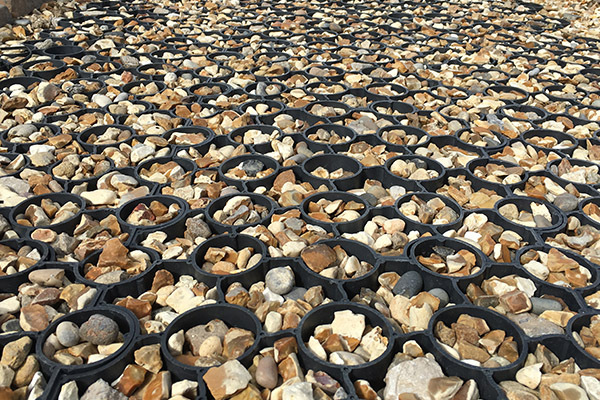 Bodpave® 85 units simply connect together and are filled with either a sand:soil rootzone and seeded for a grass surface, or filled with an angular aggregate for a gravel surface as determined by the application. Construction profiles for each application will be determined by specific site conditions & loading criteria. Detailed specification, design and installation guidance literature and technical information are available to download. 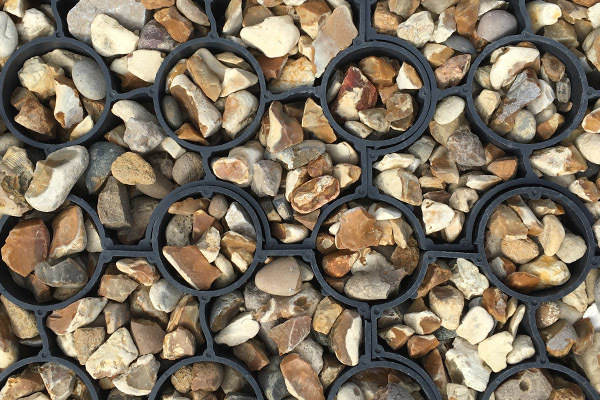 Please note that for all Bodpave® 85 grass paver / gravel paver installations, we strongly recommend that all areas should have sufficient drainage prior to the installation. 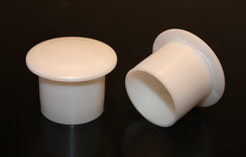 Failure to ensure this may result in the product not performing as intended.